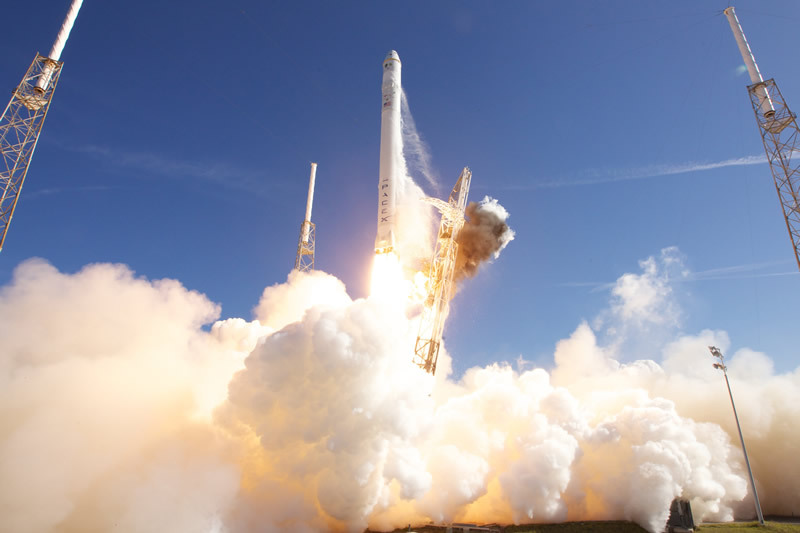 NASA Kennedy Space Center (KSC) is graciously inviting SSEP students, teachers, and family members, as well as representatives of SSEP partner organizations, to watch the historic launch of the SpaceX Falcon 9 rocket with the Dragon capsule aboard, from KARS Park on KSC grounds. Liftoff is scheduled for 12:22 pm EDT, April 30. Dragon will carry Aquarius — the SSEP Mission 1 payload of student experiments — to the International Space Station. This invitation is open to the entire SSEP family of all 40 communities that have participated in the four SSEP flight opportunities to date: SSEP on STS-134, SSEP on STS-135, SSEP Mission 1 to ISS, and SSEP Mission 2 to ISS; and the nearly 200 partner organizations that have made SSEP possible. I wrote an earlier blog post on the historic nature of this launch with the Mission 1 Aquarius payload aboard. In March, the National Center for Earth and Space Science Education made this invitation available to the 40 SSEP communities via emails to all SSEP Community Program Directors and Co-Directors. This blog post provides another means to disseminate the invitation to the SSEP communities. All SSEP attendees will be car caravaning to KARS Park on April 30 from a rendezvous site close to Kennedy Space Center. We have also set aside time for attendees to go to the Kennedy Space Center Visitor Complex, and in partnership with the Nebraska Space Grant Consortium, are holding a SSEP Get-Together meeting with invited speakers. The entire launch plan is detailed on the Launch Viewing Plans for SpaceX Dragon page. The page has all the information on booking flights, Southwest Airlines fare structure, hotels, the Kennedy Visitor Center, how to think about the trip (the needed flexibility) etc. If you interested in attending, please contact us as soon as possible. We are finalizing attendance numbers with NASA in the coming week. SSEP is the first pre-college STEM (Science, Technology, Engineering, and Math) education program that is both a U.S. national initiative and implemented as an on-orbit commercial space venture. 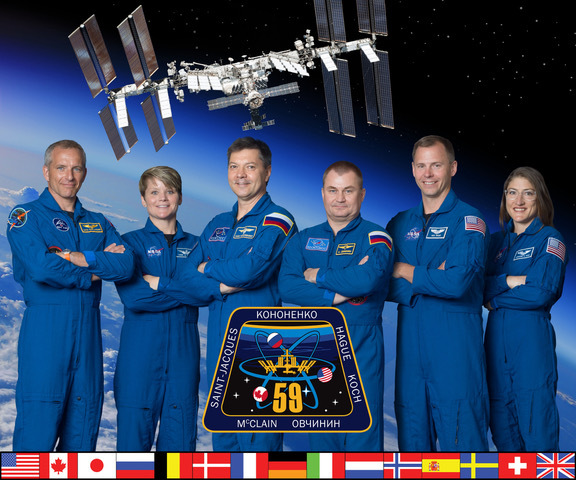 SSEP is a program of the National Center for Earth and Space Science Education, enabled through NanoRacks LLC, which is working in partnership with NASA under a Space Act Agreement as part of the utilization of the International Space Station as a National Laboratory. Congratulations once again to Dr. Jeff Goldstein and everyone involved in organizing these fantastic opportunities for young people. The real reward from these programs will be in years to come, when we see many of these students enrolled in various Science and Engineering programs in Universities. But what a thrill for a group of young people to know that the experiments they designed have been into Outer Space, and have helped advance for all of us what will happen under zero gravity conditions. I firmly believe that there will be a huge payoff from this program, as America strives to be on the cutting edge of invention and furthering Scientific knowledge for all mankind. I hope that some of these students will some day make mankind’s first voyage to Mars, there to do further experiments to further our knowledge of our Universe. Again, congratulations Jeff and everyone involved in this program over the last few years. What better way to acquire a life long interest in the many facets of Scientific exploration, innovation, and discovery! !